Most people that know me probably think that I hate trees. 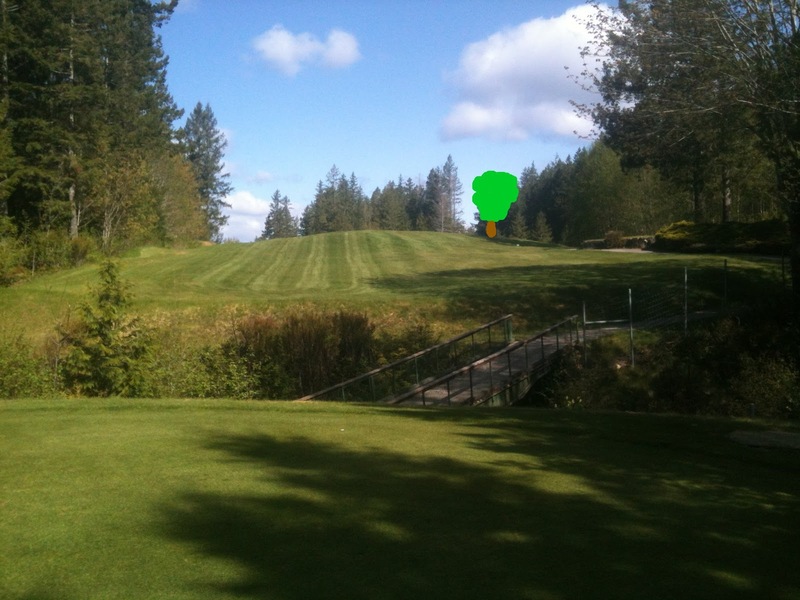 I do hate trees when they are shading the turfgrass but trees do have their place on a golf course. Today we planted a white oak tree on the right side of hole 9. The infamous blind tee shot on hole nine requires a periscope to see if the fairway ahead is clear. The large gap in the forest lures people to aim right down the middle. Unfortunately any shots right of centre will find the hidden pond. 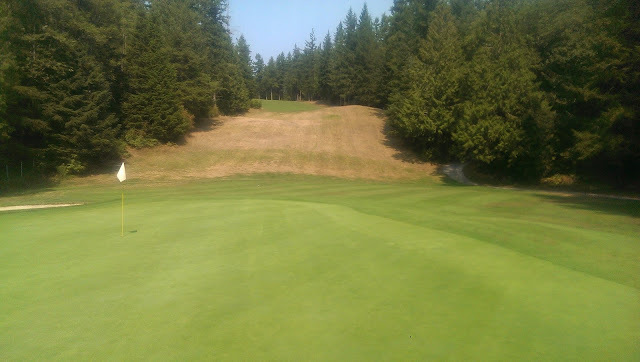 I have nothing against blind tee shots (that's just good fun) but hiding penal water on the other side of the hill is just cruel. 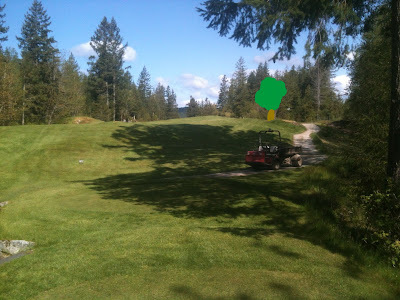 To show golfers where the water is and where not to aim we planted the tree right in front of the pond. In a few years when the tree matures it will make it obvious to the golfers that they should not aim in that direction. 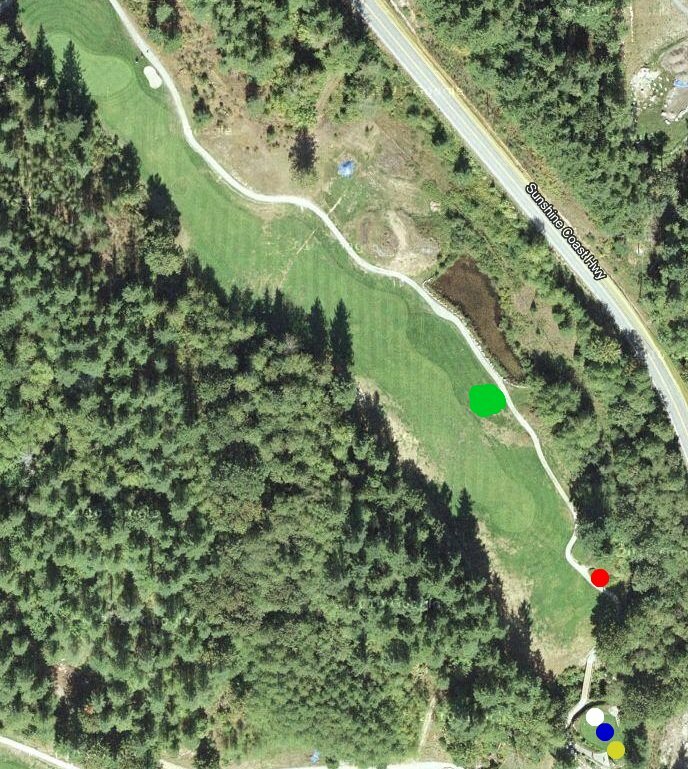 It should not have any affect on the way the hole plays other than a visual "don't aim here" clue for the golfers. We might have to relocate the stop/go sign but that won't happen for a few years. If in the end we don't like the tree I will do what I do best and turn it into chips. Rolling and Poa annua Seed Head?